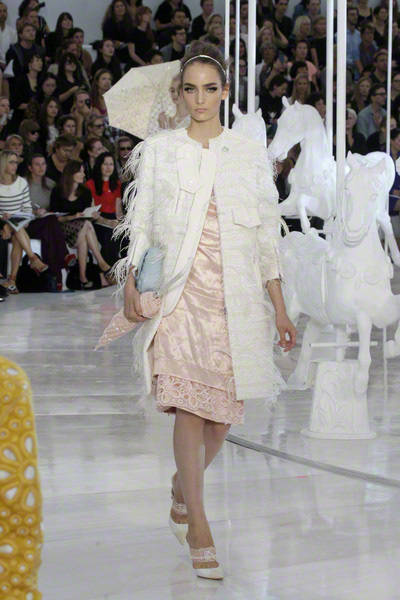 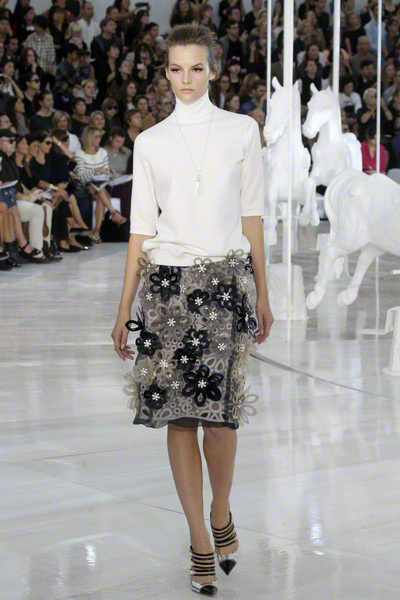 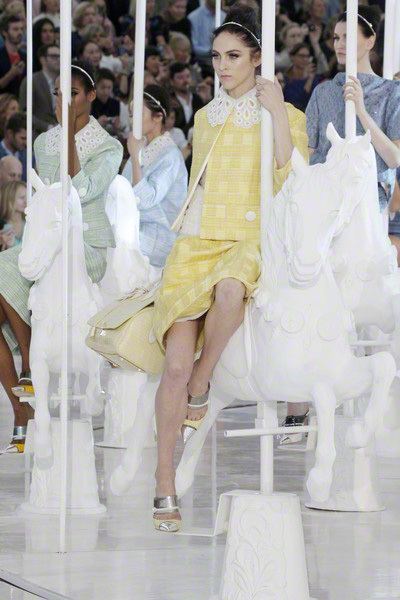 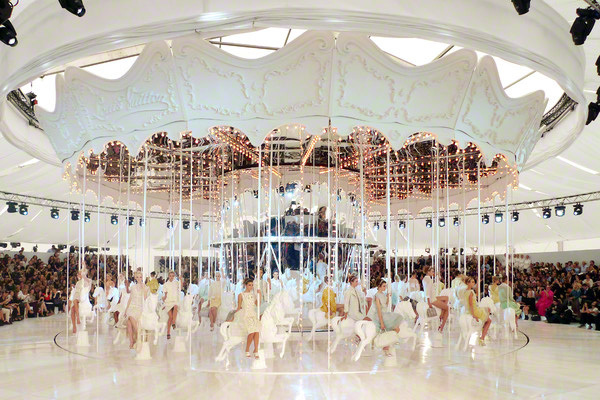 A carousel with 48 horses filled the Louis Vuitton stage on the last day of Paris fashion week. 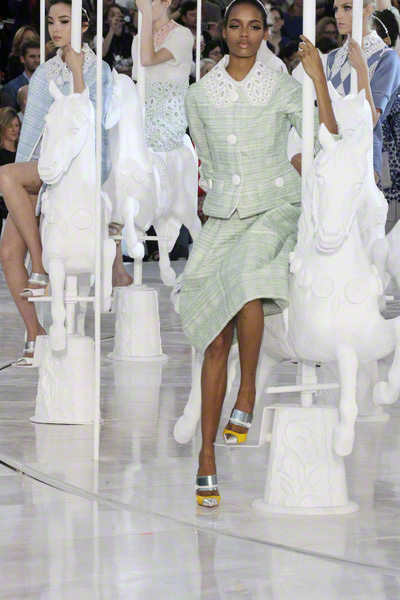 On each horse was a model, including miss Kate Moss, who apparently asked Marc Jacobs if she could be part of the show herself. 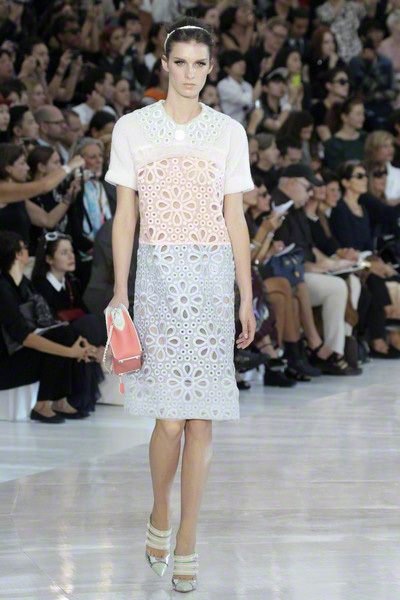 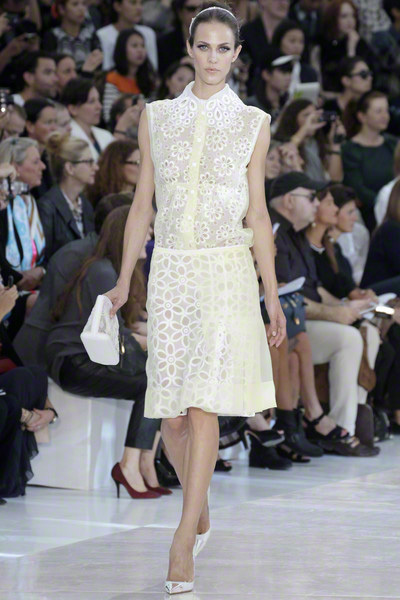 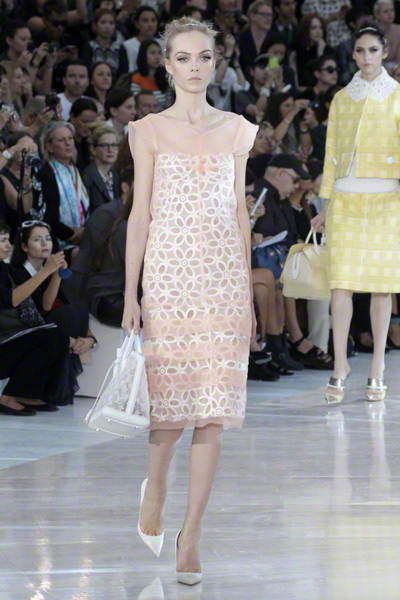 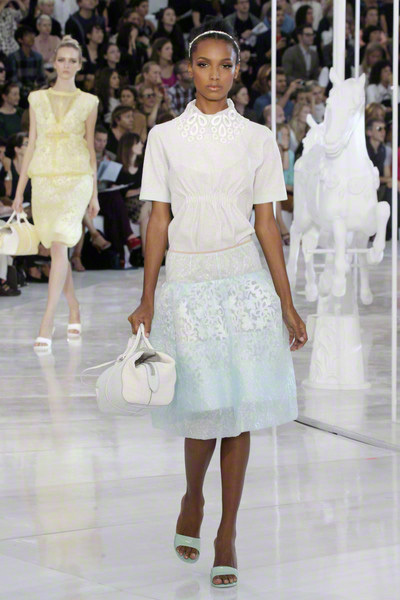 All girls were dressed in super sweet pastel colored looks with lace details. 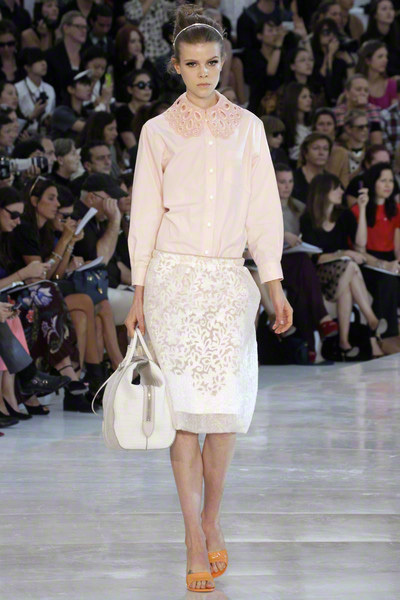 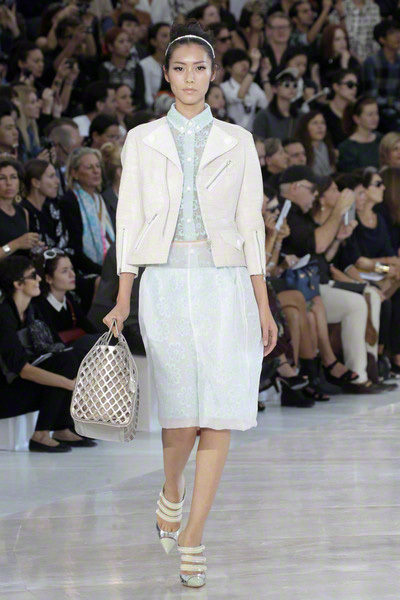 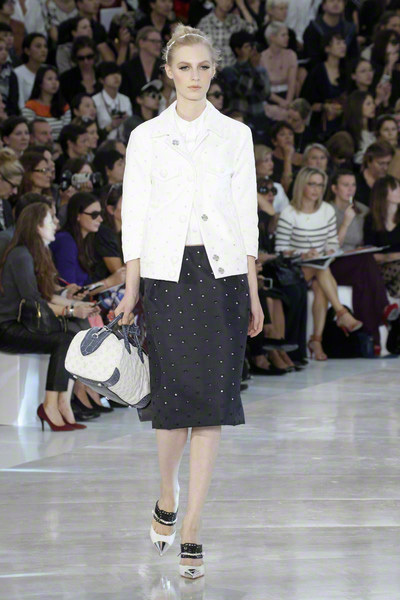 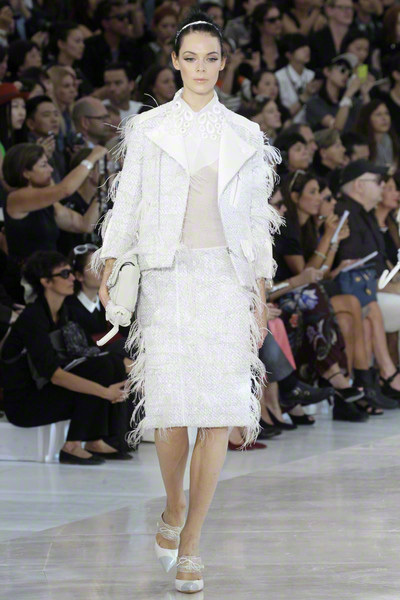 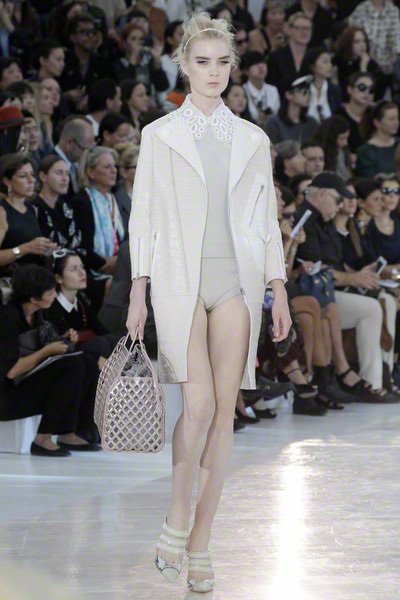 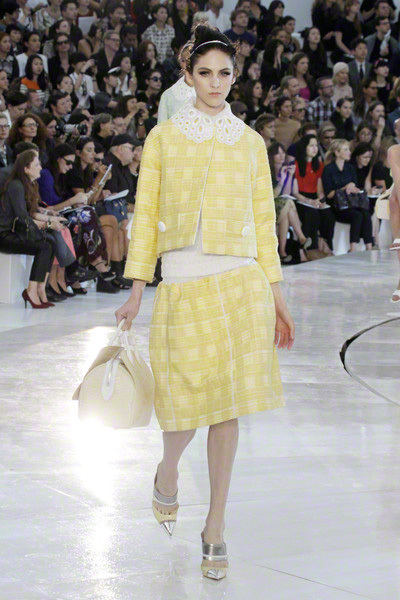 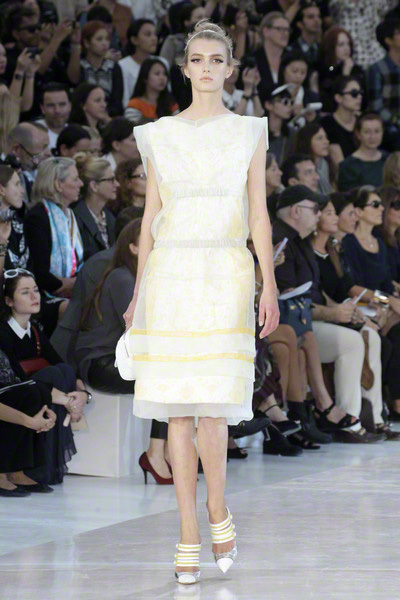 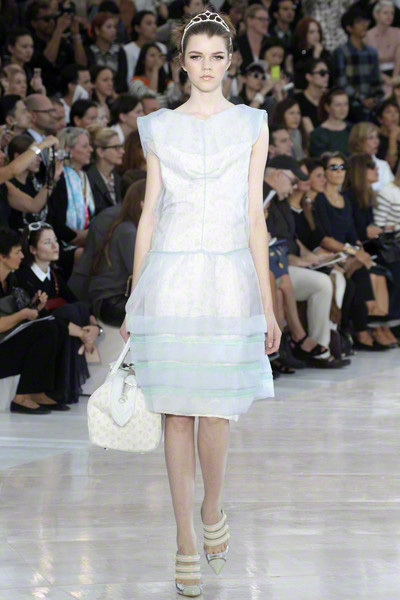 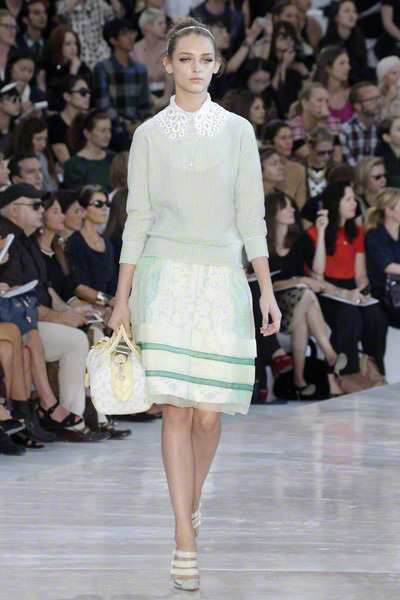 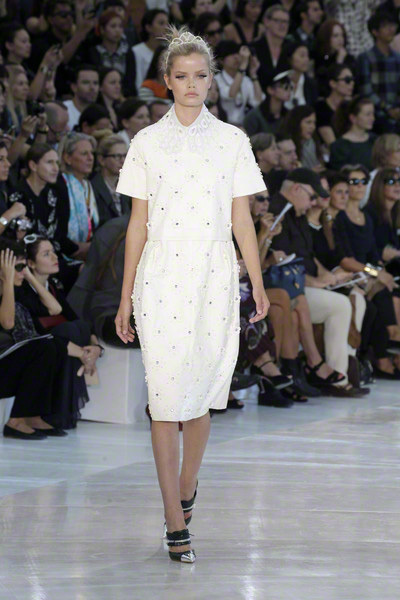 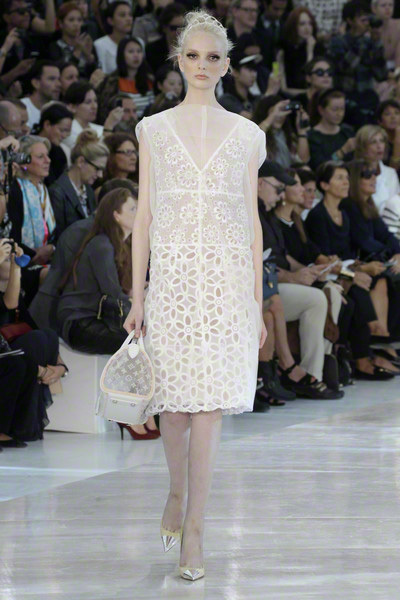 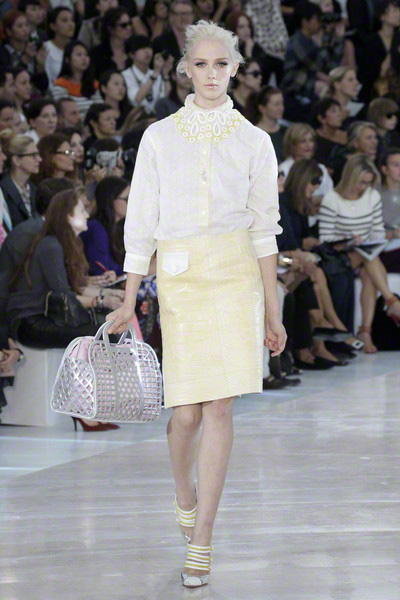 They looked girly and ladylike at the same time, combining cute white colors with parts of sheerness. 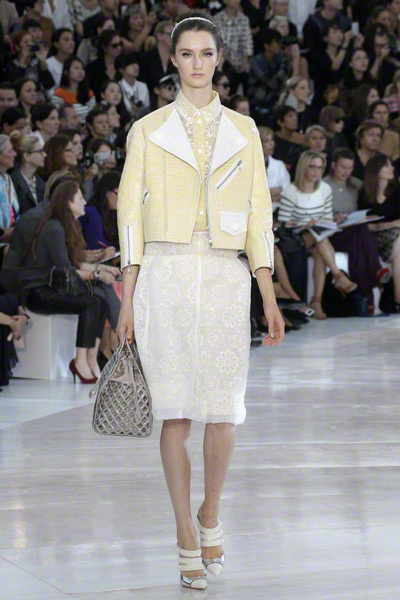 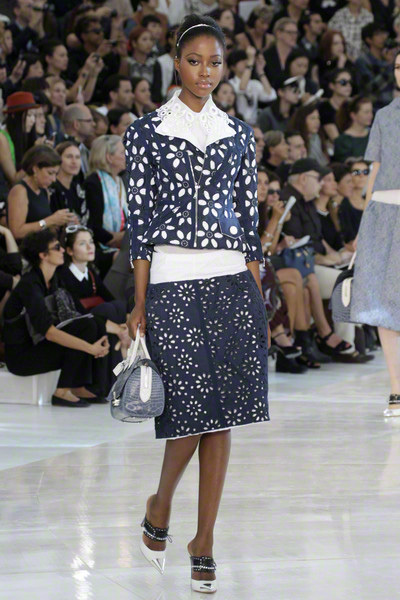 Skirts were right at knee-length, (crocodile leather) jackets and (fully buttoned) blouses all had 7/8 sleeves. 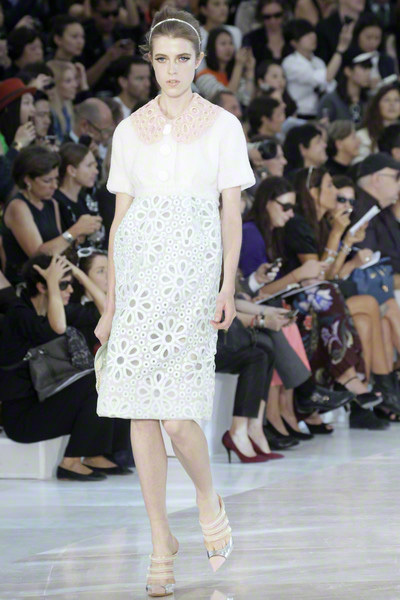 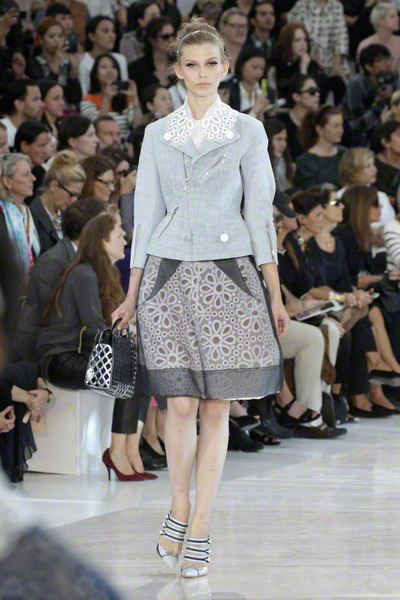 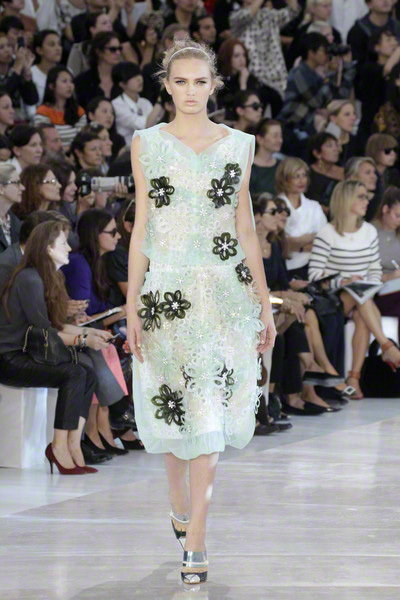 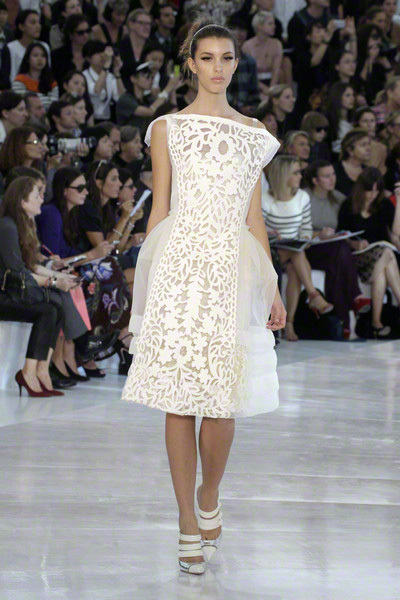 Every lace flower, appliquéd rosette, button and zipper was perfection. 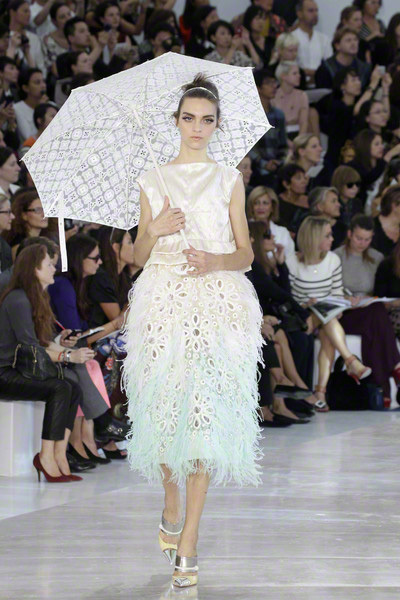 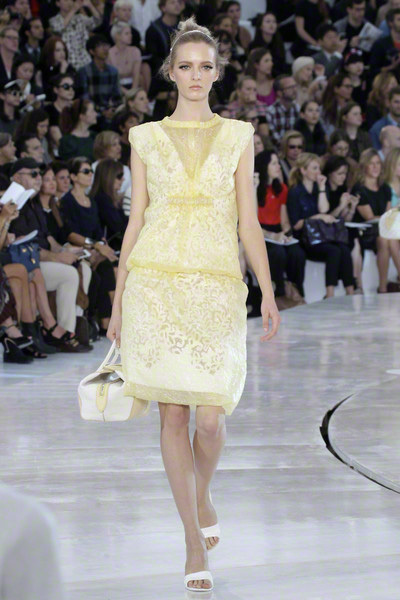 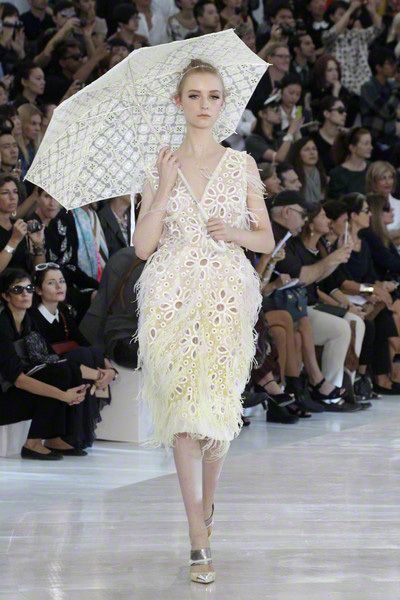 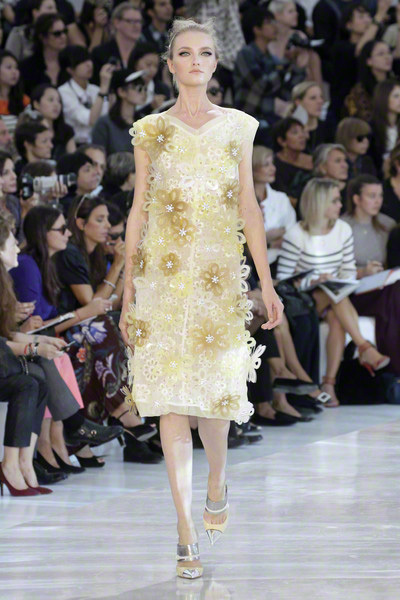 Silver colored shoes, tiara’s and lace umbrella’s seemed like the perfect touch to Jacobs’ sun kissed looks. 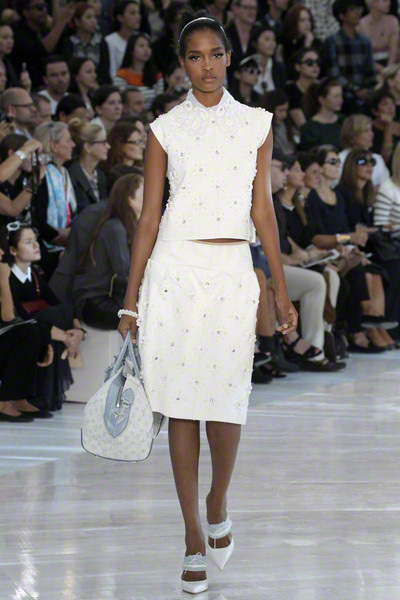 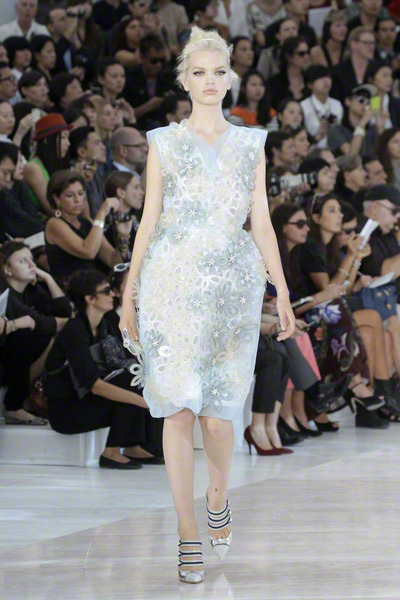 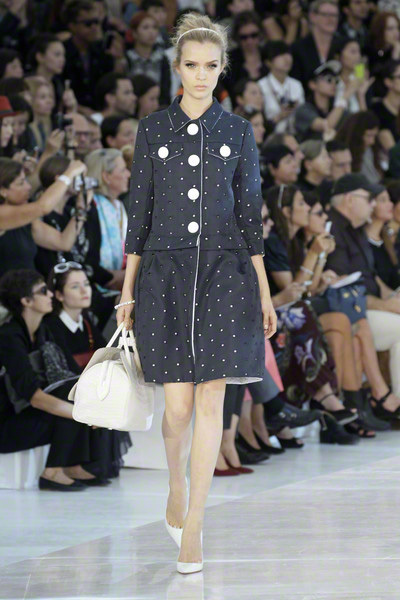 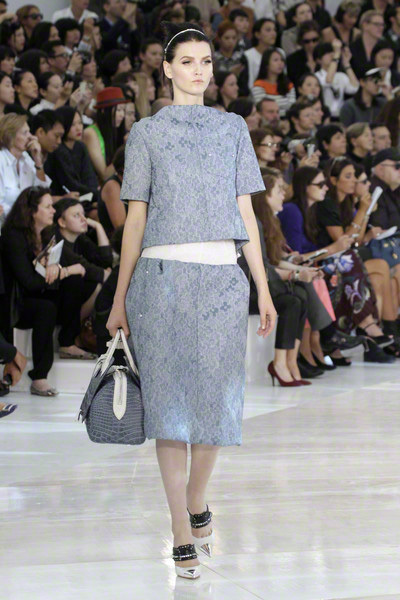 The rumor on Jacobs leaving Vuitton for was Dior not be discussed and the show didn’t indicate anything in any direction either. 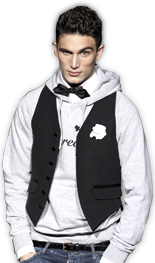 So rumors can continue on, it just would be a damn shame if we would have to miss out on these kind of fairytale-like shows.